Heat oven to 350*. In large bowl, combine all ingredients except 3 tablespoons of the ketchup chili sauce or BBQ sauce; mix well. Press mixture firmly in ungreased 8x4-inch loaf pan. Bake at 350°F. for 30 minutes. Top with 3 tablespoons of ketchup, chili sauce or BBQ sauce you set aside. Bake an additional 10 to 15 minutes or until thoroughly cooked in center and meat thermometer registers 160°F. Let stand 5 minutes. Remove from pan. 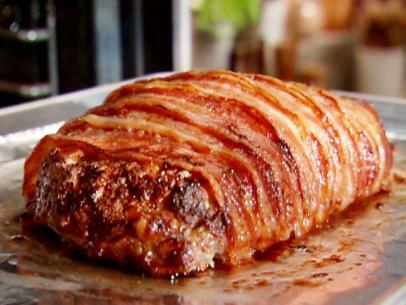 “Kick It Up A Notch” Top the meatloaf with the 3 tablespoons of sauce before putting in oven, then cover top with strips of bacon and bake as directed above.